If it's not about the hike...then what is it about? 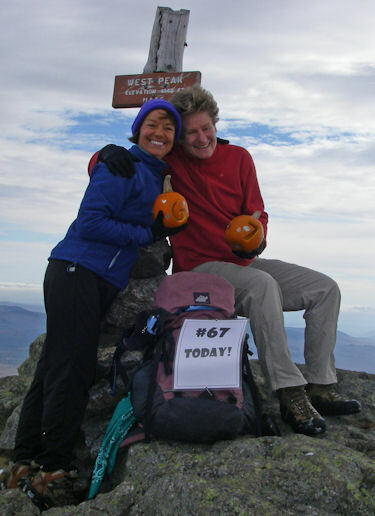 We are two 50-plus-year-old women who started walking the sidewalks of Keene and ended up climbing the 100 Highest mountains in New England. We thought we were just going out for a hike when we climbed our first mountain. We were wrong. We were beginning the journey of a lifetime. We have reached the summits of over 225 mountains since 2006, hiking through all four seasons. We have walked more than 1,500 miles and gained over 500,000 feet in elevation. But it's not about the numbers. It's about who we are becoming as we hike. We are discovering the strong courageous determined joyful women inside. Hiking has shown us the way to our hearts and our healing and given us a glimpse of who we really are. We are ordinary women on an extraordinary journey. This is our story. 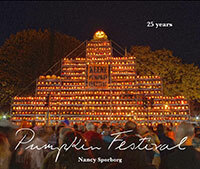 Buy Pumpkin Festival - 25 Years HERE!